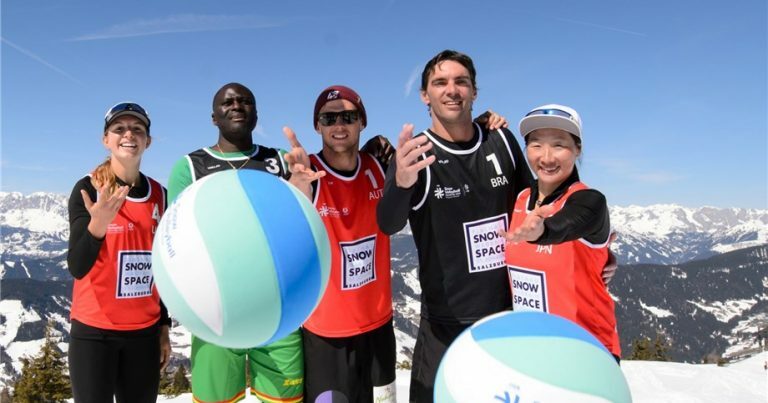 Plan de Corones / Kronplatz, Italy, April 3, 2019 – Plan de Corones / Kronplatz, another iconic venue for the fresh winter sport of snow volleyball, will rightfully host the second stop on the inaugural 2019 FIVB Snow Volleyball World Tour, co-organized with the CEV. Three playing snow courts have been set up just under the Concordia 2000 peace bell, at 2,275 metres above sea level, in the spectacular surroundings of the Dolomites in South Tyrol, ready to welcome the event starting on Thursday morning and running through the finals on Sunday. 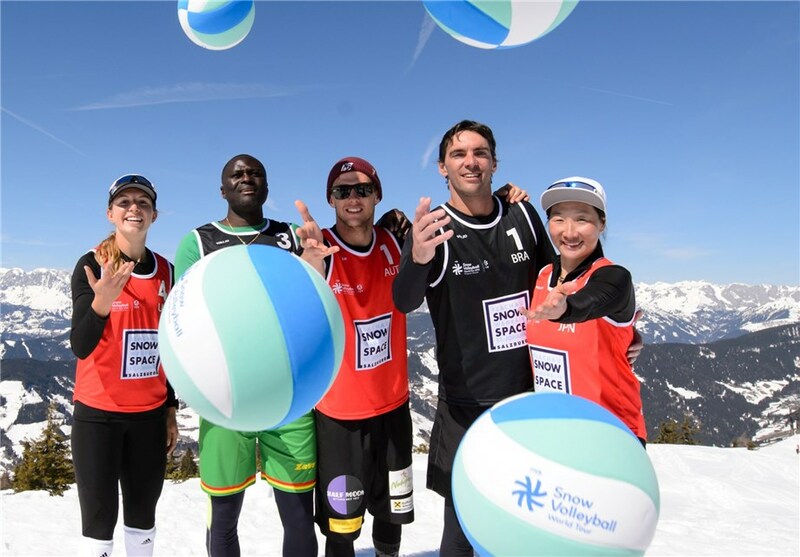 This Italian mountain has hosted CEV Snow Volleyball European Tour events every year since the sport was taken under the umbrella of the continental confederation, but it was well-known to the well-seasoned snow volleyballers even in the pre-CEV era. 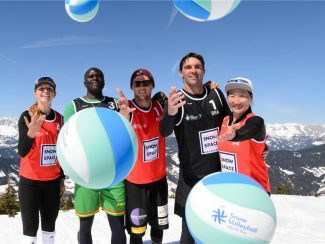 With the FIVB World Tour coming to the area for the first time, the Plan de Corones / Kronplatz tournament has already attracted teams from all five continents. A total of 31 teams (16 men’s and 15 women’s) from 18 different countries have signed up to enter the battles for a larger slice of the US$ 20,000 prize pie. In each gender a 12-team main draw will feature four round-robin pools of three, with the pool winners advancing directly to the quarterfinals and the second- and third-placed teams all moving forward to the first elimination round. With eight teams seeded directly into the main draw, the remaining four spots will be contested in qualifications to be played on Thursday, April 4. Both the men’s and the women’s qualifications will be played in a double-elimination format with eight teams and seven teams, respectively, participating. The Russian team, which won gold in the women’s tournament at Wagrain-Kleinarl last weekend, will try to live up to this newly acquired status with a slight change in the roster, as Ksenia Khakimzanova, an experienced snow volleyballer, a 2017 Plan de Corones / Kronplatz gold medallist, replaces Polina Lapteva. The other two medallists from Wagrain-Kleinarl, United States and Argentina, as well as Italy 1, Japan, Poland, Russia, South Africa and Turkey make up the eight teams seeded directly into the Plan de Corones / Kronplatz women’s main draw. In the men’s competition, Austria will be represented by an interesting blend of four players from the two squads, which faced each other in the Wagrain-Kleinarl final. Gold medallists Alexander Huber and Christoph Dressler and silver medallists Felix Friedl and Maximilian Trummer have joined forces to defend their country’s colours on Italian snow. Last week’s bronze medallists Russia 1, or Pavel Rakusov, Yury Bogatov, Nikita Kuzmin and Petr Bakhnar, will also compete in the men’s draw this week. Two Italian quartets, as well as Brazil, Cameroon, Poland and United States, are the remaining teams to skip Thursday’s qualifications and start their campaigns directly from Friday’s main draw.